Bottoms up! 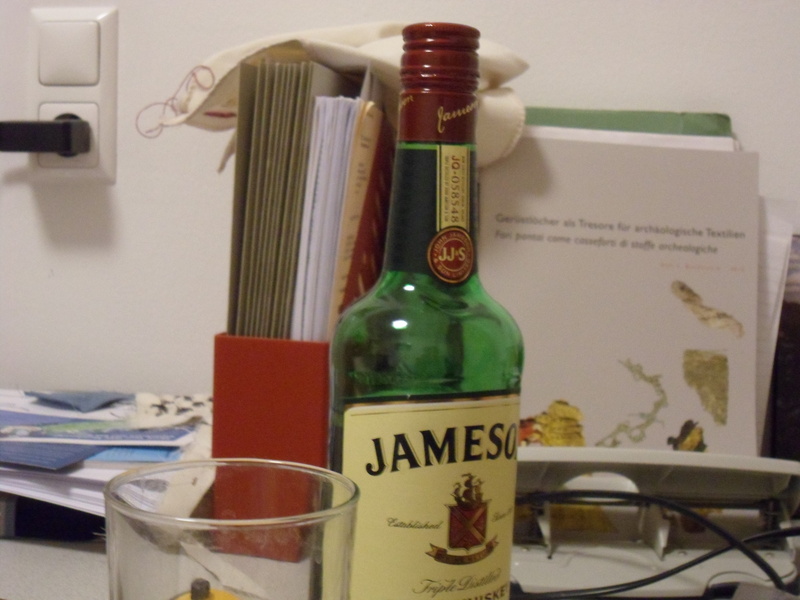 A prize bottle of whiskey. There is an old joke that most of the people who will ever read your dissertation are in the room when you defend it (and that not all the examiners will be among them). I recently received a royalty cheque from ProQuest for the princely sum of CAD 2.25 for their distributing a copy of my master’s thesis. While Service and Supply in the Achaemenid Army is available free online, some people don’t have high-speed internet access, or are censored by their governments from sites like academia dot edu. Not only that! At recent quizzes in Innsbruck there were questions about the Neo-Babylonians (well, Judith and Holofernes) and Greek infantry formations. Triumph in such encounters can bring rewards in the form of free drinks worth several Euros, and at times I and my fellow quiz-goers have brought back such prizes from the field. Humanists have felt little respected and under-paid for a good long time; I am especially touched by the Babylonian scholars who responded to being ruled by Persians and Macedonians who had difficulty faking enthusiasm for cuneiform by energetically copying texts about the kings of old who had mastered the scribal art and generously rewarded their court literati. But the scholarly life has its compensations, both financial and otherwise.